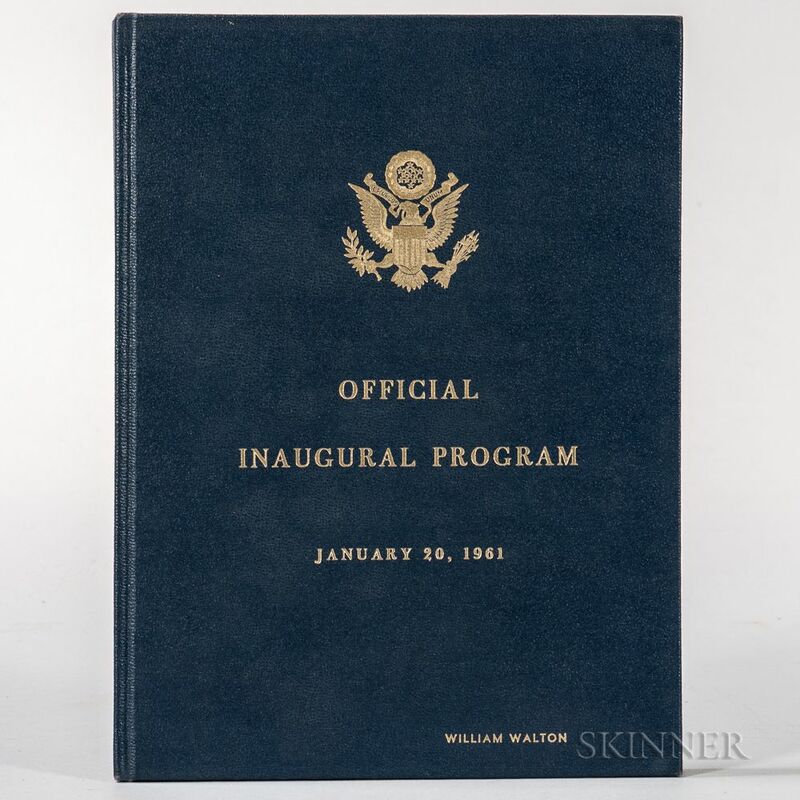 Kennedy, John Fitzgerald (1917-1963) and Lyndon B. Johnson (1908-1973) Official Program Inaugural Ceremonies, Limited Edition Presentation Copy Signed by Edward Foley. Washington, DC: Merkle Press, 1961. 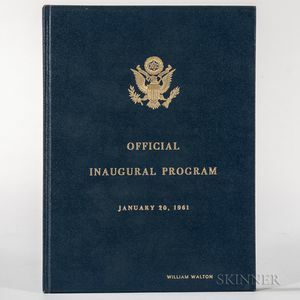 [Bound with] A Pictorial Review 1961 Inauguration, including the complete text of the Presidential Inaugural Address; deluxe copy, copy number 125 made for presentation, signed by Foley on the limitation statement, with Foley's signed business card inserted; bound in full blue textured cloth, with the Presidential seal on the front board, presented to William Edwin Walton (1909/10-1994), whose name is also tooled on the front board, 11 x 8 1/4 in. John Fitzgerald, Edward Foley, Lyndon B. Johnson, William Edwin Walton, President of the United States, United States presidential inauguration, Washington, D.C.